Have you ever noticed that when you look up articles on how to become a freelance writer there are several things that are the same each time? One is that most of them proclaim how easy it is. Another is that the very same articles will tell you that your best bet at success is content mills. The other is that when they don’t say this, you’re reading the same bloggers over and over again.That just leads you to wonder where, since so many have become successful on content mills, the rest of the freelance writing bloggers are. So here you are coming up with the same things each time, and you feel like you are on a carousal. Don’t worry, I felt that way. The thing to do is to make that jump off. You may land hard, but just get back up. How do you make that leap? Well, that’s a lot to talk about! Instead I’ll be discussing what I did the first time around that I shouldn’t have done. My first instinct was to start doing everything I could handle…without a business plan written. This was a huge mistake, because a business plan is essential to a business. It is a clearly organized path that you can follow to become successful. My other problem was that I began things without being ready for them. I had a website that was up and running while under construction. Looking back I found this to be unprofessional and sloppy, because my website changed vastly from day to day. Not only did I have a website that I was working on, but I started reaching out to people about writing grants as I was learning to write them. This just led to frustration as I was repeatedly rejected. The first place I started at was, drum roll please: Craigslist (cringe). Wrong, just…wrong. I found nothing on there after looking every day, and sending out at least twenty LOI’s per week. Ok, so I found a few things, but all of them were either lowballers that even I refused to work for or people who, like me, weren’t really ready for their projects. The next place I went to was content mills. I’m not saying you can’t be successful on content mills, but you can find more success elsewhere for what you’re actually worth. Here is where I finally gave up. At the events I went to I was always awkward, and was left sitting in the corner stuffing my face with appetizers. Why? I didn’t have an elevator pitch. When I was asked what my business was about I floundered. I was excited about it, and I knew what it was about, but I didn’t know exactly what to say about it. After the tenth sentence filler as I scrambled with what to say my audience lost interest. You need to write a business plan of some kind, so you know what you’re doing. Make sure you’re prepared, and then feel free not to do the things I did to find work. And when you’re networking be sure to have something to say when somebody asks you what your business is about. All of these points are extremely important, but the most important thing to learn from this is to plan out every little thing before you do it. What things have you planned for your business? Johanna Martin is a freelance writer who focuses on bettering her local community by writing for small business startups. Her other specialty is helping the freelance writing community expand and become more supportive by offering the unique insight of just starting out to new freelance writers. Her website is www.ssfreelance.com. Read more posts from Johanna Martin. Thanks for sharing your experiences Johanna. We can all learn from them! It’s important to create a good plan, and then implement that plan starting with the highest priority items. And at networking events, it’s always a good idea to have a quality business card to give to prospective clients. I stumbled into a lot of what I’ve written over the years… a plan is a great idea. And I don’t like networking groups either… take my cards everywhere, which is rarely to that sort of event. Really good information Johanna. 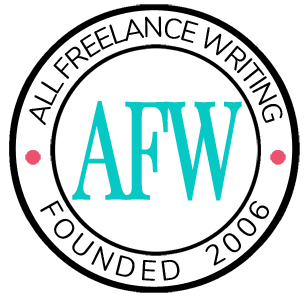 When I started out I had no idea what freelance writing really meant. There are so many things to write about, so many formats, and the flooding sense of being in over my head. I had to find myself in writing. Any writer stating they can write about “anything” is new to the game. My work is clean and crisp when I write about things I actually like.